It was only 55 degrees when I got up this morning. When Urban Sketchers Seattle met at Lincoln Park, several of us were toting Polartecs or raincoats, just in case the weather changed the wrong way. (We joked that Seattle beachwear always includes Polartec.) But sitting in the blazing sun to make these sketches, all of my layers came off right away, and I was glad I wore a tank top. It’s finally summer! 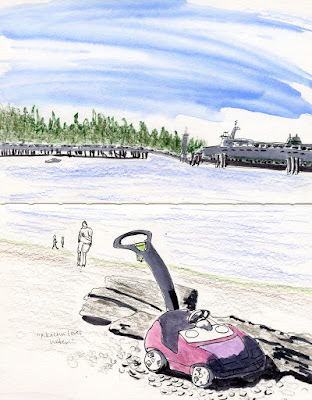 I was almost finished sketching the pink and lavender vehicle parked next to some driftwood when its driver came by and drove off, so I had to fake some of the shading. 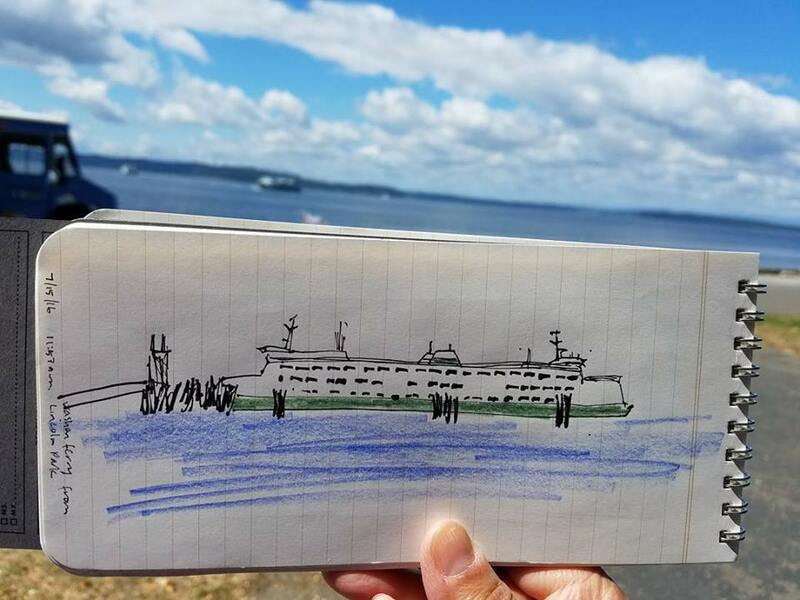 The Vashon ferry in the background, which I was afraid would also pull out before I was done, took a lot longer to unload and load its long lines of cars.